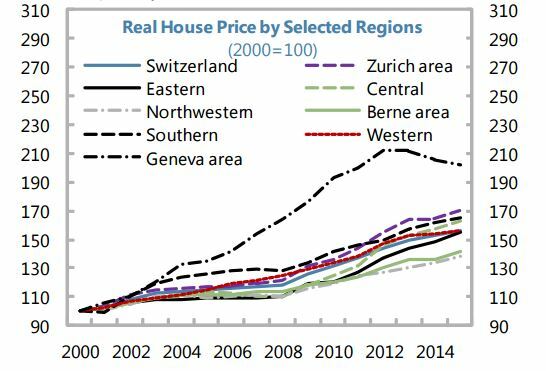 “Though it has cooled recently, Switzerland’s house prices have had a rapid run-up over the last decade, and mortgage debt is high as percent of GDP (…). The economy could thus be vulnerable to a sharp decline in house prices, which would weaken household balance sheets and impede growth. 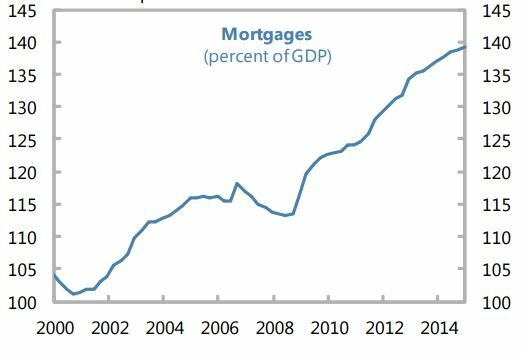 Such a decline would also adversely affect the banking and insurance industries, with their large respective exposures to the mortgage market and real estate,” says the new IMF report on Switzerland.